In ‘Pluto’s Blue Note’ Pluto tries to sing along with some birds, a bee and a grasshopper, but to no avail. When he discovers that he can use his tail as a needle to play records with, he uses these not only to impress these animals, but also five female dogs, who fall for ‘his’ crooning, Frank Sinatra-like voice. In this short Pluto performs a very silly dance, which is only topped in outrageous animation by his facial expressions while play-backing the crooning voice. 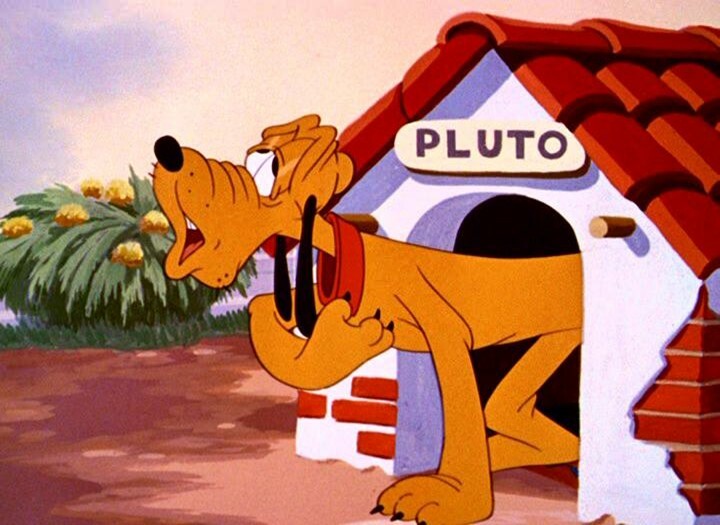 ‘Pluto’s Blue Note’ certainly is one of the more inspired Pluto cartoons of the late forties, and its story a welcome deviation from the Pluto-befriends-a-little-animal formula.